Known for intricately carved rice terraces, a visit to a terraced rice field is an enjoyable way to spend a lazy afternoon. 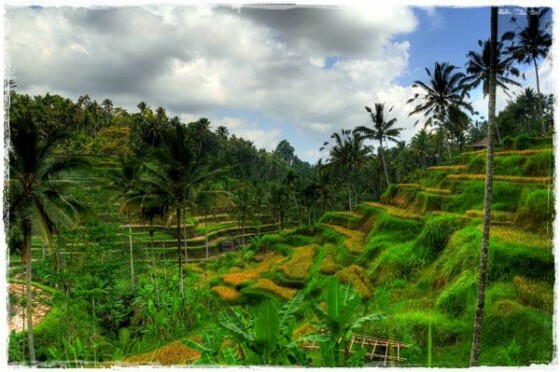 Two that are worth visiting in the Ubud area include the Tagallalang Rice Terrace and Sayan Rice Terrace which are within 30 minutes of the main town and are worth the short motorbike ride. Thanks Aaron! It was pretty nice the way they came out. Hoping for even better ones in the future. Don't fret though, plenty of family vacations in the future right? 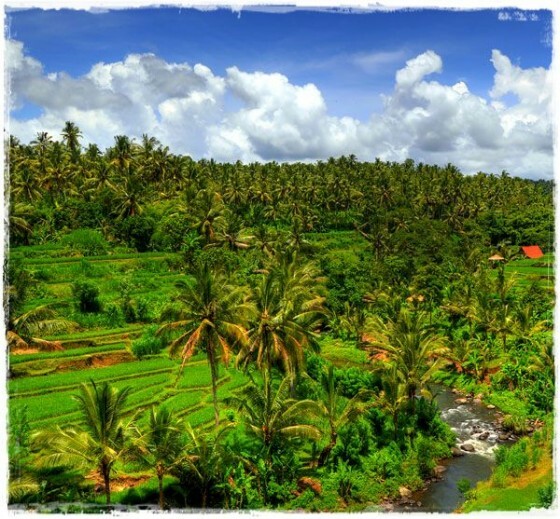 Maybe back to Bali? Great photos… keep it up! Thanks Ry! 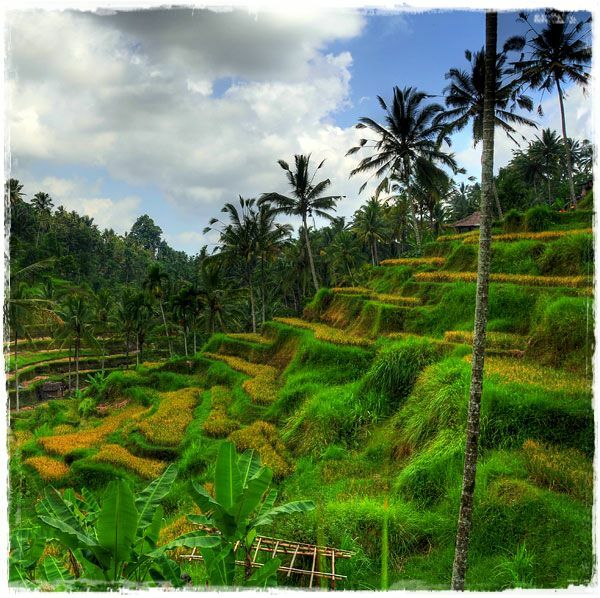 The Rice Terraces are beautiful are they not? For some who have a particular fascination, many more exist, likely possessing far more beauty. As with any crop, time is also of the essence. We arrived a little late, and a good portion of the hills were already cleared out, ready for the next planting.